When we already know that what all matters is the skill of the 24 hour locksmith in north Hollywood and nothing else, then why are we giving a piece of paper so much importance? This is because it is better to break the norm every once in a while. Going after their certificate and their affiliations might not be the only way to find out if they are authentic or skilled but it is most definitely one of the very effective ways to know that they are legit and they know what they are doing. You already know that there are plenty of locksmiths working in your area. A lot of them do not hold any certification from the state. And a great many of them haven’t even taken any formal training in the field. Their summer apprenticeships were as reliable as the marriages in the Kardashian family (no offense really). But you will have to agree that most of these businesses are not even registered with the local authorities. So where do they get their credibility from? How do they become everyone’s number one choice? It is because of their body of work and their reputation that they have established over the years. But this might not be enough for a good number of people around. They might need more than just a “body of work” and experience. This is where a certified locksmith proves to be a more reliable choice. A certification ensures that the locksmith you are using is trained properly. They must use proper techniques so that they can prevent damage to your locks. A certified locksmith knows the proper methods, and understands the most current lock technology. Having said all this, you want your home and business to always be safe. The kind of safety and security measures that you have installed over there are highly dependent on periodic repairs and maintenance. Their proper functioning will largely depend on the quality of the 24 hour locksmith service that is available in north Hollywood. Yes, it all boils down to the quality of service that you receive and securing this is what will empower you and make you feel more protected. And where does this sense of security and surety come from? It comes from proper certification that the locksmith company should be able to produce. Looking at it just as a piece of paper might not be the right thing to do always. You will be tempted to ignore it saying that skills and experience matter more than just a paper but there are times when you are more willing to trust a professional when they are able to show their certification as a proof of their skill sets and authenticity. It is time to be practical and traditional at the same time. It is time to keep their skills and certification on the same pedestal. Locksmith service is one of the basic necessities and we should always have some verified options in our contacts before we get caught into an emergency. It is very important to find a reliable and reputable Locksmith in North Hollywood CA before you get any random people at your place. In reality, people during emergencies just go through some listed names on the web and get them for the job without fetching any information about the business. Here we have a small guide that you can follow to avoid any type of locksmith scams. Cross Check: “prevention is better than cure” we are very familiar with this quote and yes it says right. Thus, you must necessarily check the locksmith services for their website, reviews, service record, and experience even in the maximum urgency. 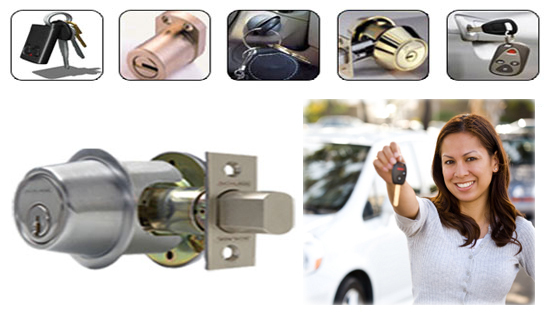 This helps you to stay safe and hire someone who genuinely provides locksmith services. Inquire Properly:once you find some reputed locksmith agency with a good online presence on the web, you must start inquiring about the business by asking some quick questions. You can verify their work experience, ask for their licensing and authorization, etc. Doing this would be helpful in finding someone who is licensed, insured and knows the technique to do the repair job. Cost Estimation: make sure you never settle for the first number under your finger. You should get a few options on your list before you choose someone for final assistance. You can ask about the estimated cost and the process of repair from different Local Locksmith Servicesstyle=”font-weight: 400;”> to ensure that you find the best under your budget. Satisfaction Must Be Priority: you should never settle for less when you are paying for the services. You should only ask the locksmith to start the job after verifying their detail from the service provider. Also, you should check the license and ID proof of the locksmith before they start the job. If you find any change in expenses to the repair as compared to estimated cost, make sure you should confirm the same with the service provider before the locksmith starts the job. You can never trust anyone with the security even if the person works for a reputed organization. Therefore, you must Stay alarmed about your home security and your personal safety. Avoid having any valuables at home, make sure you never let anyone drill your lock, and get to know about the name of the business for proper information. How The Modern Day Car Locksmith Differs! For most of us, whether it is someone who belongs to our generation or to the one before us, it is relatively hard to believe how the modern day locksmith differs in functions and specialization when it comes to unlocking locks and performing routine maintenance checks. If you encounter a lockout or face a sudden security issue that needs to be dealt with immediately, there are plenty of ways a reputed Locksmith in Los Angeles California can save you time and money. The most critical and frustrating problem that we face today is of car key repair. These are intricately designed and most painstakingly unique. Every car brand makes their own designs and thus it becomes very difficult to replicate them with utmost precision. But at the same time, it is also very essential that you have a couple of spares in your hand that would come in handy in case you ever lock yourself outside of your car. Some Locksmith Los Angeles dealerships claim that only they can handle transponder key repairs and to tell you honestly, this is true to an extent. The functioning of the car keys and locks relies heavily on a signal that gets exchanged between the transponder key and the lock. The tiny electronic receiver present in the lock system of your car engages and disengages in response to the signal that gets transferred between the lock and key each time the button on the key fob is pressed. The Best locksmith in Los Angeles will very well know why your particular transponder key doesn’t open up every other car lock in the parking lot as well when you press it to unlock your car. This is because your vehicle and key fob are unique and come programmed with an individual signal. Therefore if you want to get your car keys and locks repaired you need to ensure that the car lock matches up with your key fob after the repair work is complete. And for this to happen, you will need a highly skilled locksmith that is dedicated in this discipline and has experience of working with the most specialized equipment specifically meant for this purpose. But remember, in your quest to locate the best Locksmith in Los Angeles California you will have to deal with a lot of untrue claims and false guarantees. They will try to mislead you by telling you that they are the only ones with state of the art specialized equipment despite many other auto locksmiths also having the exact same technology at a much affordable price. So, beware of claims that are too good to be true. 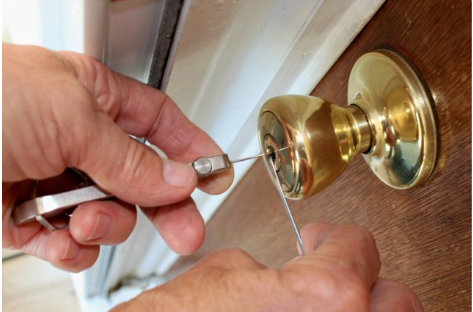 How Could Best Locksmith Los Angeles Help You In Securing New Home? Have you just moved to a new place? We know it feels great to have a dream home but wait! Are you forgetting something? Yes, it is the security. Even if you have purchased your new home after careful inspection of the home with detailed study on the location where it is situated, still there are always chances that your home security could be compromised. 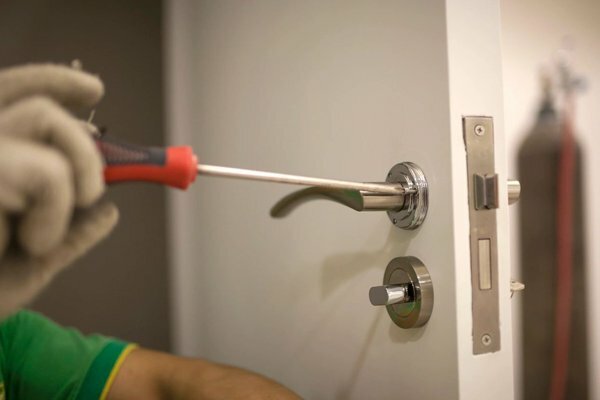 Therefore, it becomes very important to get your home completely secured by taking assistance from the best locksmith services in Los Angeles whom you can trust for expert guidance. Here we have three important steps which can be followed by you for enhanced security if you have just shifted to a new home. Rekeying locks: you would be thinking that you must change the locks of your house as a matter of security. But why to invest so much money of purchasing new locks for the complete house when you can just rekey your locks. 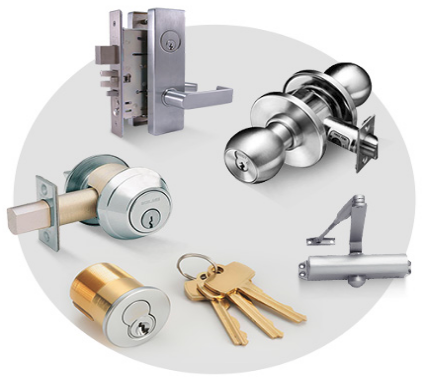 You can call the locksmith services for assisting you on the reconfiguring the inner mechanism of locks and designing keys for them by making some alterations to avoid heavy cost of replacing locks and saving your time. Deadbolts: there can be nothing better than a deadbolt installed at your doors. But still, if you have moved into a home which was already owned by someone for so many years, then there are chances that the deadbolt is susceptible to damage or compromise on a little bit of excessive force applied to them. Therefore, you must call a locksmith for checking the locks and replacing the older screws with new and longer screws to avoid the damaging effect of the force applied. One for all, all for one: if you have moved into a house which is twice as big as your earlier house, then you may find it difficult to deal with keys. Finding the right key from so many keys can be struggling and to avoid such hassle, you can ask the locksmith to build a key which can be used at all the doors (something like a master key). You can hire an experienced locksmith to help you with reconfiguring the locks for a single key to avoid the chances of any confusion. So if you just have shifted to a new place which is unfamiliar to you, it is very important to get your home secured for your property as well as your loved ones. Therefore, you could get a registered and well-informed locksmith for help related to securing your home with high-security modern locks as well as for above three tips to make sure that your home is always safe from any attack even in your absence. If you need any assistance on your concern to securing your new home, you must hurry to reach experts like the Universal locksmith who are always there to help you.